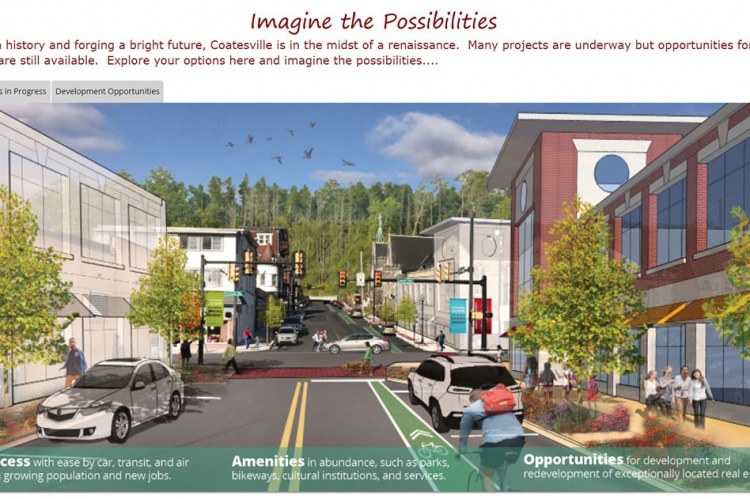 The City of Coatesville is forging a bright future with many exciting public and private projects underway. In order to highlight and promote these projects, this past spring the Coatesville 2nd Century Alliance and the Chester County Planning Commission created an online interactive map. This resource can be found on the 2nd Century Alliance website. The resource is for public use, but it is also intended to inform and attract investors considering development in Coatesville. Specifically, the interactive map identifies where amenities, projects in progress, and development opportunities are located in the city. A brief description of each site is included along with links to additional information. Sonia Huntzinger, economic development administrator at the 2nd Century Alliance, plans to use the maps as a tool to lead discussions with various partners, agencies, and developers. With the framework of the map established, the intent is to keep the map up to date as projects evolve, new projects occur, and new development opportunities arise. There are many good things happening in Coatesville and this is one way to show what is happening with regards to development and encourage the possibilities for additional future investment.